Many tech gurus are claiming the USB C (also known as type-c) is the future of laptop charging. I like the idea of having one charger that you can connect to any device. Imaging you have a phone, laptop, tablet, powerbank, bluetooth headset, hearpod – that is 7 devices you have to charge. Without a common charger that can handle everything you will need 7 different chargers. That’s why I bought a USB Type-C charger for my DELL XPS 9570. I spent over $1500 for my new DELL XPS 15 9570 which I bought about a month ago, I also spent another $700 for upgrades such as the Samsung Pro 970 NVME SSD, thunderbolt3 enclose to convert the original SSD in the laptop to a 40gbps portable SSD drive. Anyway, this post is about the USB charging experiences I had to go through, if you want to read about the NVME SSD issues I had with DELL XPS 9570 you can open the post. The barrel charger I got with my DELL ultrabook works fine, but I often travel to the capital island of Maldives and I thought of buying a USB C charger in Male’ so I would not have to carry it every time I go there. Prior to buying my DELL laptop I had an AUKEY multi-port USB charger that supports fast charging for my Samsung Galaxy S7 smartphone. So, I bought a USB Type-C cable and connected it to this AUKEY charger I had only to findout it did not work. That’s when I decided to read online about the compatibility. I found out the DELL original charger supplies 130w, my AUKEY charger gives 43w output. Some websites said the DELL laptop would work with minimum 45w charger. Damn, I was close! Anyway, I went out and bought another AUKEY 48w chager that had direct USB C PD port. I connected the cable only to findout it did not work. What’s wrong now? I thought the USB cable was not compatible with PD for DELL 9570. What did I do? Bought another type-c cable. Did it work this time? No. I bought another AUKEY type-c cable that clearly said supports PD (Power Delivery). Still it did not work and I was pretty sure at this point the fault was in the charger, not the cable. I went back to store to replace the 48W AUKEY USB Charger I bought an hour back, luckily I did not throw away the receipt as I often did. This time I wanted to buy something that delivers close to 130w but there was none. 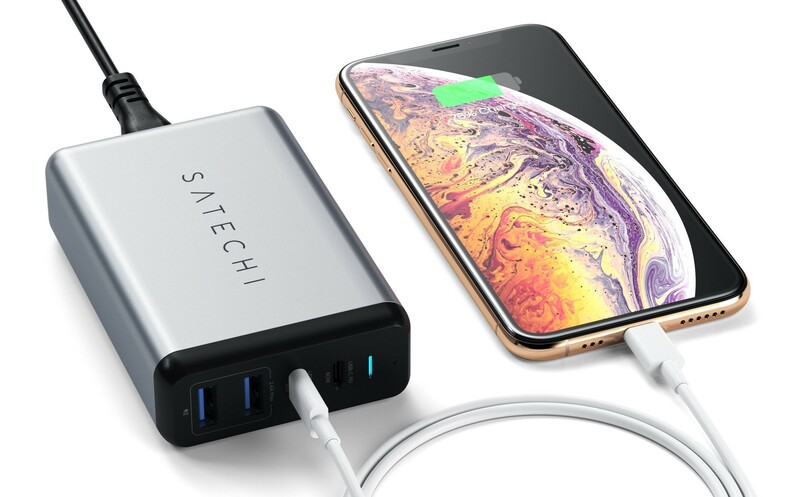 The closest I found was Satechi 75w USB Charger with type-c PD, it look nice, compact and sturdy but it was crazy expensive – I paid $162, of cause I got a deduction for the other charger I returned. Did Satechi 75w type-c PD charger work with my DELL XPS 9570? Yes it did. But, not as smooth as I expected. The laptop recognised it as a slow charger, it took about 3 hours to get full charge. This is okay for me, but I had another big problem. 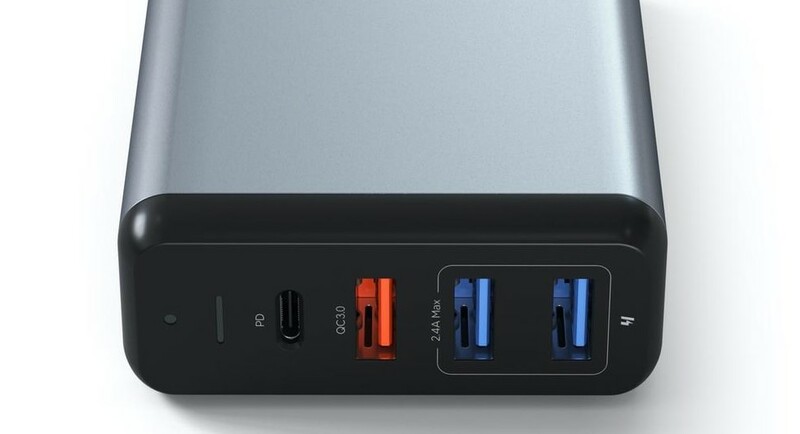 When the USB charger was connected it gave a minor electrical charge to the laptop body, you can very obviously feel it when you touch the aluminum body, I even felt it on the carbonfibre palm rest but I was able to continue using the laptop while charging. I don’t think this is the proper or safe way to charge my device. I feared continuous charging like this on USB might affect the life of the laptop. I don’t know, I just thought so. Also the Satechi 75w charger got burning hot (do not think of frying eggs, it was not that hot) while plugged into the laptop. Anyway, I decided not to return the charger again. I could use it to charge my phone and keep for a backup charger for the laptop. Previous Previous post: Dell XPS 15 9570 at first did not recognise Samsung 970 Pro NVMe SSD. Now solved.